While the minivan class was the strength of the 1980s and early 1990s, the movement toward smaller SUV models has made this area of the market shrink in recent years. That may be the case, but the minivans that are still offered are certainly worthy of your attention aren’t ready to be put to pasture yet. the Toyota Sienna is one of those minivans fighting against extinction to be the one that you want to enjoy when you’re looking for the family hauler that has the reliability and features you’ve been searching for. The Toyota Sienna is a roomy, comfortable minivan that allows you to have an easy drive and the driver assistance qualities you want, even at the base level. This minivan offers you room for up to eight people to ride along and the attractive and functional system to give you the experience you’ll admire when you head out on the road. This is the one minivan on the market that can offer you something the rest can with AWD as an option you can enjoy when you choose this as the minivan for the driving experience you want on the road and the added control AWD brings. The 2018 version of the Toyota Sienna offers you more of what you want in a family hauler. The two most important qualities of any vehicle you intend to carry your family in are safety and price. 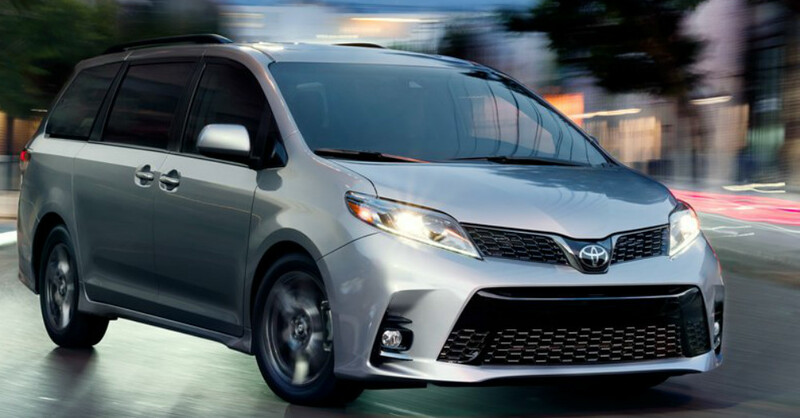 The Sienna is now built with the Toyota Safety Sense-P to give you a suite of active driver aids on the road. This suite includes items such as a pre-collision system, pedestrian detection, adaptive cruise control, lane departure warning, lane departure assist, and automatic high beams. There is also a new front end, an upgraded Entune infotainment system, additional USB ports, and a Bird’s Eye view monitor for the Limited trim. If you have a family member that needs to have a vehicle that accommodates their mobility equipment and needs, the Toyota Sienna is made to fit items that will be used to help your family members get around. This vehicle can be fitted with an aftermarket wheelchair ramp, and offers the Auto Access Seat, which is a factory installed power operated chair that provides easier access to the second row when you need to have mobility items in the vehicle to help get where you need to go. Are you ready to have a minivan for the drive you’re looking for with your family? If so, you want a vehicle that’s reliable, comfortable, filled with safety features, and offers you the experience that makes it easy to know you’re going to enjoy the journey as much as the destination. The Toyota Sienna can be the right vehicle to make all this happen for you. Make your way to your nearby Toyota dealer and let this become the minivan that brings you the drive you want to make every day.